Broadchurch is a fictional seaside town, south-west of England. Detectives Alec Hardy and Ellie Miller work together to find out the murderer of a young boy. The plot showcases the effects a murder has on a small local community and the suspicion that arises among them as the investigation continues. The storyline and the powerful performance by the cast have kept the viewers intact. The picturesque coastal region of Dorset, the real-life Broadchurch location, also has a role to play. Although Broadchurch is fictional, the locations are not. Most of the filming was done along the Jurassic Coast, and the cliffs and the golden sands provide a fantastic backdrop to the show. The series provides a glimpse of the beautiful landscape of the town Bridport and West Bay and also the seaside town of Clevedon in Somerset. You can also stream movies, sports events and other programs from the catalogue of iTV. The service although free requires you to register an account with a valid UK postcode. Because of the TV licensing regulations, the service is available only to the viewers in the UK. With the global success the series has got, it is also available on the popular streaming services. If you have missed the live episodes of Broadchurch season 3 watch online on Netflix, Amazon and also on iTunes. Netflix would air the latest episodes by the end of 2017, and you can then watch Broadchurch season 3 online with your active subscription. These services also, have their own limitations and many times programs aren’t available outside the US. 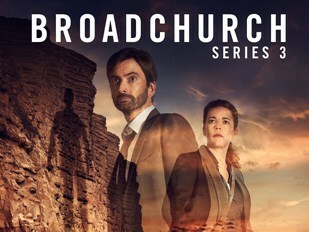 To watch Broadchurch, the best option is to connect to a VPN. These VPNs are a great way to stream contents not available for your location. Getting the network up and running is easy. It is a non-technical job, and all you need is to download their app for your device and log into your account. Once set-up, you can connect to a server in the UK if you want access to iTV Hub. If you want to catch-up Broadchurch on the American Netflix, just switch to a US server. A VPN masks your current IP address with an address of that country. This lets you access those resources without restrictions. The top VPN app is bound to be ExpressVPN. 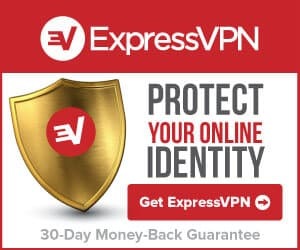 Although a pricey affair, ExpressVPN is known for its connection speed. Apart from security, this is one thing which you really need in a VPN for streaming purposes – read our full ExpressVPN review.